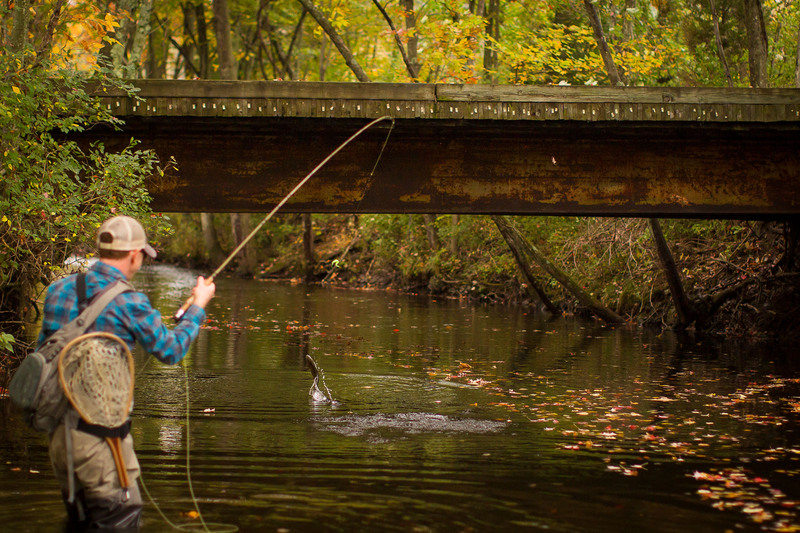 Penns Creek has been made famous by its rich fishing history and its incredible hatches. The Green Drake is the most noted hatch and occurs in late May. These large burrowing mayflies hatch in large numbers for about a week on Penns Creek and anglers travel from miles around to see and fish this mind boggling hatch. But the best fishing is often in the more common hatches such as Sulphurs, Slate Drakes and Bluewinged Olives. These hatches draw lesser crowds and allow more freedom for the anglers to explore the stream. Penns is a large limestone creek with stretches that are well off the beaten path. Penns Creek has over 8 miles of special regulation water from the confluence of Elk Creek, near Coburn to Cherry Creek, near the town of Woodward. The Creek may be accessed by the old railroad grade that runs along its banks from Coburn to Weikert and by the roads in Poe Paddy State Park. This section of special regulation water holds many large trout and an abundance of aquatic insects. On a trip last June I looked to the sky just before dark and was amazed at the thousands of Bluewing Olives and other mayflies, caddis flies, and stoneflies that were swarming over the stream near Poe Paddy. This huge flight looked like a miniature highway in the sky and continued to have heavy traffic for over an hour. As the bugs took flight and others returned to lay eggs, the fish went on a feeding frenzy. Although they were tough to catch the healthy wild browns were well worth the many casts it took to catch them. 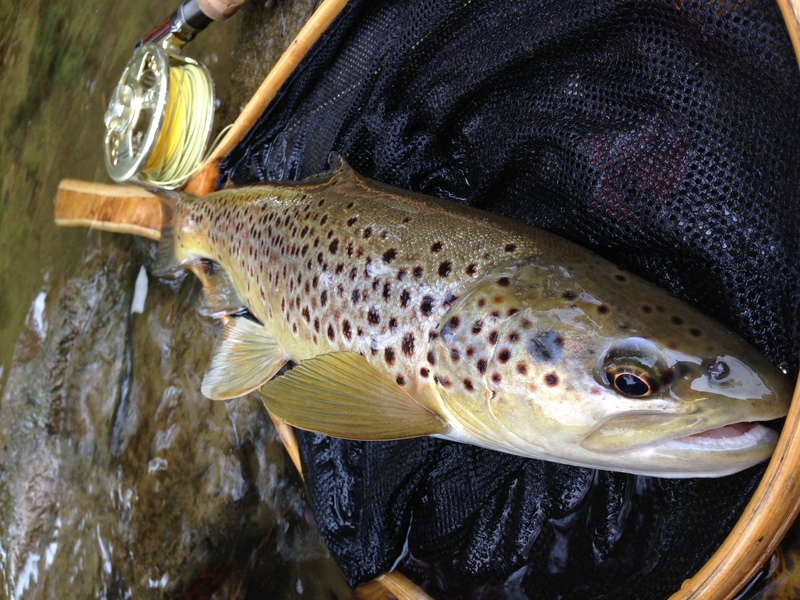 A great population of wild fish and great hatches is what Penns Creek is known for. Spring Creek is one of the top limestone streams in Pennsylvania and maybe the country. The cold waters that flow through this famous stream are filled with scuds, cressbugs, mayflies, caddis, and lots of trout. 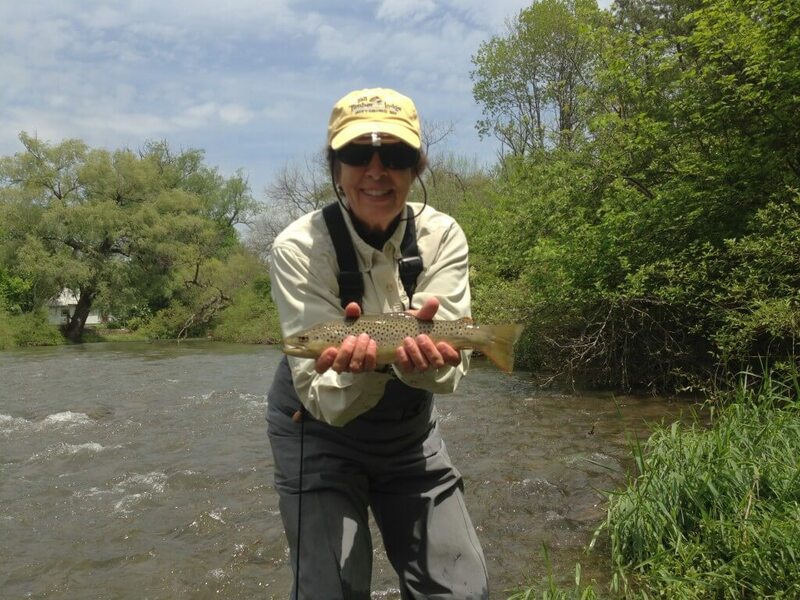 Spring Creek has an excellent population of wild brown trout that grow to lengths up to 20”+. Along with the population of wild fish there are plenty of rainbows that have found their way out of hatcheries or out of tributaries and into Spring Creek as well. Just about every pool, run and riffle in Spring Creek holds a fish and an average day of fishing in prime season will produce 20 or more fish. Spend a day or two fishing this historic PA stream and it will have you returning year after year. The Little Juniata is one of the largest, limestone influenced, creeks in PA. It is also one of my favorite. The Little J is a river that has rebounded time and time again from pollution and controversy. 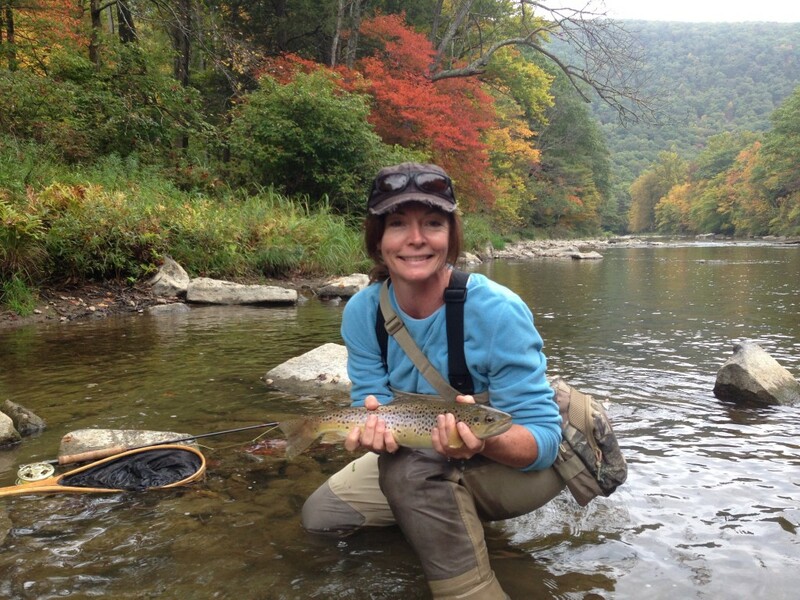 Although it has seen its share of problems in the past today the Little Juniata is a clean and clear with a thriving population of wild brown trout throughout its length. Known for its heavy hatches of Sulphurs and Grannom caddis, the Little J is no secret. The good news is that there is plenty of room on this scenic river for anglers to spread out. For those anglers willing to hike, finding rising fish to yourself is usually not a problem. Come take a walk with us along the Little J, enjoy the scenery, the trains, the hatches and the beautiful wild browns. Probably one of the most historic fly fishing streams in Pennsylvania, Spruce Creek is the 1stchoice of most United States Presidents who enjoy fly fishing. This small to medium size creek is private for most of its length except for a small section known as the George Harvey Section. 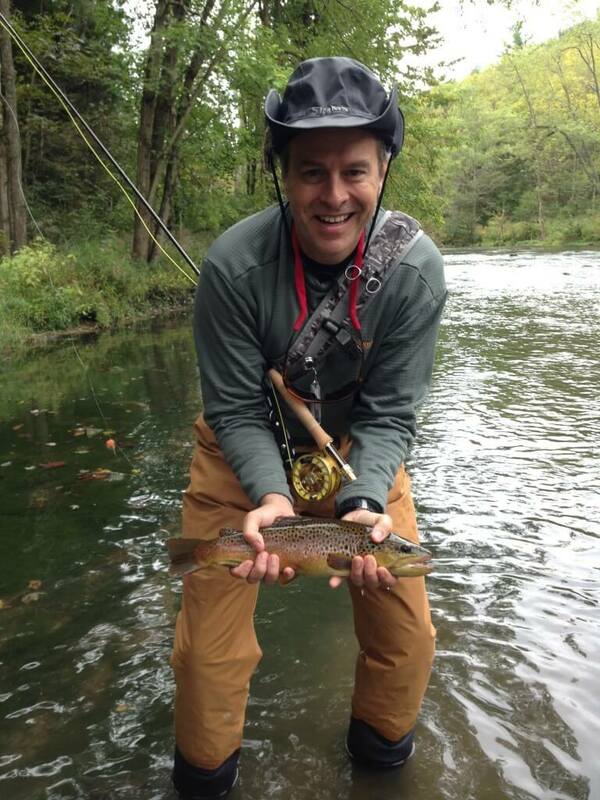 Although it is a small section of stream, there is some great fishing available to the public on Spruce Creek. Wild browns are abundant throughout the public waters and the occasional pellet feed stocked monster can also be found in some of the bigger holes. There may not be enough water on Spruce to make a full day trip for most anglers but spending an afternoon on this historic creek on your way to the Little J is a great way to put some variety in a trip. Remember, you never know what you might catch in this small stream.